The Association Calls for inquiry into malicious leak of distorted confidential information. The Federated Association of Travel and Tourism Agents expresses its full confidence in the MTA CEO, Josef Formosa Gauci, and unreservedly condemns malicious reports in a section of the media aimed at smearing his integrity. 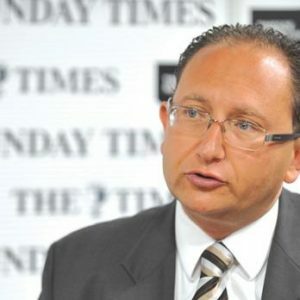 FATTA highlights that Mr Formosa Gauci was appointed as CEO in 2008 by the MTA Board as provided in article 3.3 of the Malta Travel and Tourism Services Act, and not directly by the previous Government as alleged in the reports. FATTA also highlights that MTA Board is strongly representative of the private sector stakeholders with seven of the Board members being regularly nominated on the direct recommendations of MHRA, FATTA, Air Malta, Malta International Airport, Gozo Tourism Association and other prominent industry associations. Mr. Formosa Gauci’s appointment as CEO in 2008 for a three year term, and his related contract, were unanimously approved by the Board at the time as was his three year extension in 2011, confirming the strong support of the private sector. The results achieved by the industry since 2008 speak for themselves with a consistent trend of consecutive record breaking years which vindicates the stakeholders’ backing. FATTA calls upon the MTA to clarify that the CEO’s remuneration package is in line with the negotiated contract which unanimously approved by the Board and that there has been no abuse as insinuated in the report. FATTA also calls on the MTA to hold an inquiry to identify the source of this malicious and unprofessional leak and to take the necessary action to prevent future leaks of distorted confidential information which can only serve to harm the tourism industry.